New Year MAC Giveaway 2017! You can never have enough makeup brushes right? This Christmas my lovely friend bought me this gorgeous Real Techniques Your Picks set. Of course I was over the moon because it has some of my most used and favourite brushes in it with a funky new design! I love having multiples of my favourite brushes, it's always handy when you need to wash them. The Your Picks set has so many great brushes, this is a great set to start your collection off with- or just to add to your collection. I want to start with talking about the Buffing Brush. The buffing brush is perfect for achieving full coverage with either liquid or powder makeup. This is a gorgeous foundation brush, the shape is full enough to give you full coverage quickly, but small enough to get in every corner of your face. The buffing brush is so versatile and can be used for so many different things, it's also great to apply powder, bronzer and blush. I haven't used the Stippling Brush yet, but Sam & Nic say this is the trade secret to apply flawless, airbrushed high definition makeup. This brush is perfect with all types of makeup. It's also very lightweight helping if you want to apply a light coverage. I already have the original stippling brush and never really gave it a chance, now I have two and can't wait to try this brush out properly. Also in this set you get the Contour Brush. Like all Real Technique brushes, this is sooo versatile! You can use this for so many things, concealer, bronzer, contouring, highlighting - the list is endless. I love to use this to apply my concealer. The tapered face helps to achieve precise and detailed application. It's perfect for getting in all the creases and corners. You can use this brush to apply your contour as well. It's small enough to get in under your cheekbones and around your face. This is definitely a staple brush in my collection! 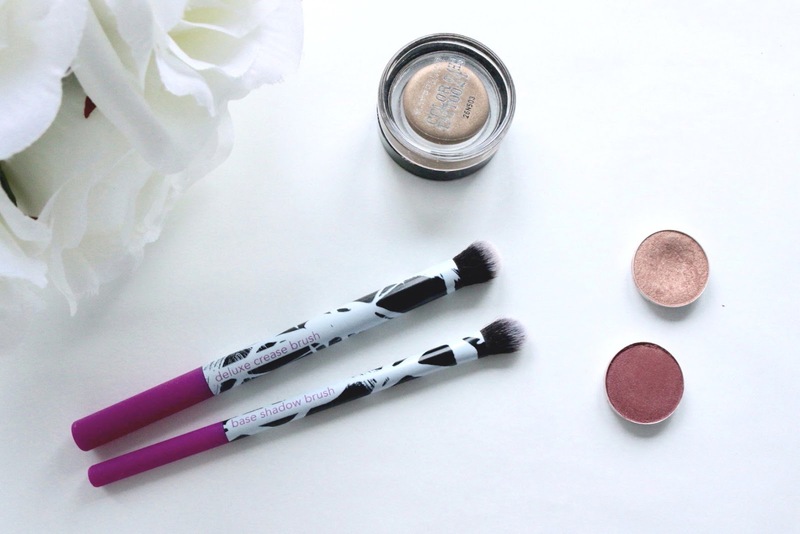 Another staple in my collection and a favourite in the Your Picks set is the Deluxe Crease Brush. I use this to apply my base shade on my eyes, the brush is big enough to apply an even coverage quickly. You can use this to apply your crease shade too, it's great for a smokey eye. The soft synthetic bristles are perfect for your eyes, there's nothing worse than having a harsh brush that irritates your eyes! Of course this brush is great for precise contouring also. The last brush in the collection is the Base Shadow Brush. Despite the name, I love to use this to apply my crease shade. Like all Real Technique brushes, this brush is perfect for multiple jobs. The light soft bristles and the tapered shaped make this the perfect tool to blend your eye look and give your crease real definition. This brush would also be perfect for precise highlighting too . It's the perfect size and shape to apply to your inner eyes, bridge of your nose and cupids bow. All of these synthetic Real Techniques brushes are so beautiful and soft. They're the most versatile brushes in my collection, each brush can be used for so many different things. The synthetic bristles and lightweight design makes them so easy to look after. I like to wash and condition mine with normal shampoo and conditioner, I find this works great - some of my RT brushes are over four years old and still wash like brand new! If you're after some new brushes then the Real Techniques Your Picks Set is the perfect place to start. All of these brushes are real staples in my collection and can be used for any job you can imagine. 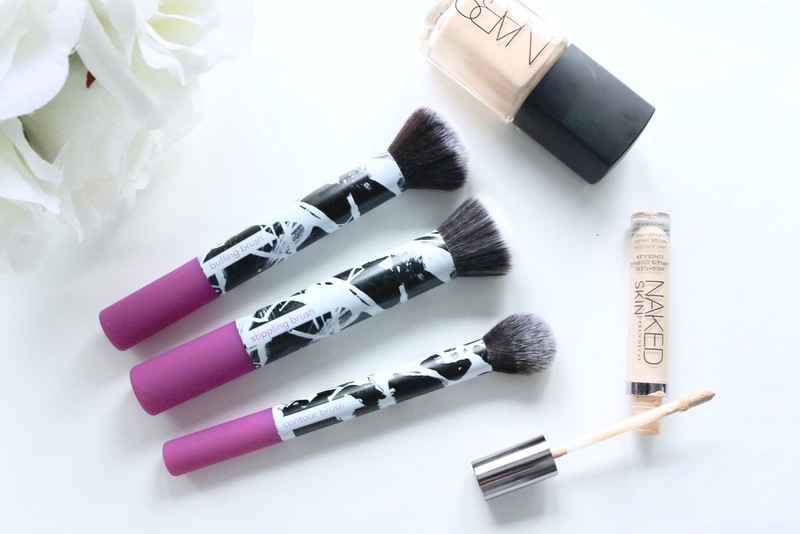 Of course the new funky design adds a bit of a pop to your brush collection! What are your favourite Real Technique brushes beauties? Don't forget to enter my New Year Mac Giveaway beauties, to win yourself a MAC Cosmetics Burgundy Times Nine Eyeshadow Palette. Real techniques brushes are so bloody good! I just wish some of their brushes came with the option to buy seperately. I want multiples of the contour brush, buffing brush and multi-tasking brush. They're so reliable and pretty affordable too! Awww that's too bad, we can get individuals in the UK. I love real techniques' brushes! I didn't know they came out with a new collection. 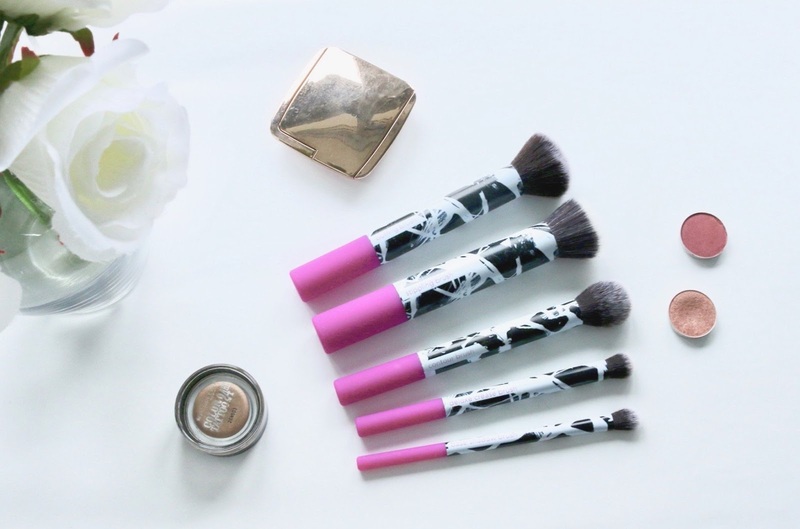 I haven't heard of this collection before but it features some of my favourite brushes! The Buffing Brush is one of my favourites and I really need the replacement but I'm not that big on the original kit, might get this one instead!